Pacer has integrated three major industrial functions including electrical wire and cable manufacturing, electrical system design and manufacturing, and electrical components distribution. The integration of wire and cable manufacturing, engineering and distribution provides us with great flexibility to address the concerns of individuals and smaller companies as well as large volume users. Today, Pacer provides these capabilities to a wide range of manufacturers who require UL/CSA approved wire, such as makers of batteries, forklifts and golf carts, industrial equipment, alternative power, appliances and data storage. We also have a wide range of products that serve marine, automotive, truck, RV and off-road vehicles. From a manufacturing perspective, the company manufactures products in two basic modes, plus undertaking a distribution function. In one part of the business, we run small lot, complex jobs that entail many parts and changeovers. Another part of the business produces low complexity, higher-volume products such as wire and cable. From an ERP standpoint, think of this as a lot-controlled product in which the system processes a new work order which then becomes finished goods. The final part of the business buys products for resale in a classic distribution scenario. Our former ERP system had become dated, being too cumbersome and difficult to use while not providing us with the depth of manufacturing that we needed. At the same time, we were at the size of a company in which it is inefficient to host an on-premise system but that needs the functionality and mobility which the Cloud provides. We also wanted an ERP that would leverage our Salesforce.com system. Working in concert with Pacer’s selection committee, we reviewed reports from Gartner and others on ERP systems that would cover the wide range of businesses that Pacer handles. Input from our sales and marketing people are important to us and since they were already using Salesforce, we wanted to be sure to complement that effort with our manufacturing ERP. For example, we use OzLINK, which works with the most robust shipping interfaces available for the three most popular carriers: UPS WorldShip, USPS Endicia and FedEx Ship Manager. Although OzLink is not a Salesforce specific application, the open flexibility of the Salesforce.com platform allowed it to seamlessly integrate with Rootstock and dramatically improve our performance. So, to emphasize, we needed a flexible platform that would operate with our other Salesforce tools and most of the suites we reviewed were too limited. In our search, it quickly became evident to the team and myself that Cloud-based ERP is fast becoming a real alternative to traditional on-premise ERP systems. As the availability of cloud-based software has exploded, the complicated system of interdependent components that work together to enable cloud services has come to be called the “cloud ecosystem.” Without question, one of the most popular of these cloud platforms is Salesforce, and Pacer was already capitalizing on it. We also faced the same problem so many manufacturers have in searching for a new ERP: having to maintain in-house servers would just be too prohibitive. 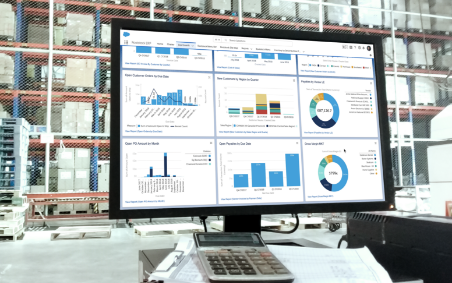 With a Cloud ERP implementation, Pacer would eliminate many of the hidden costs of implementing an On-Premise solution including the acquisition of hardware, operating system software, database management software and other infrastructure products. Not only do these items carry significant costs but they come with built-in delays affecting the project, our team understood. When all was said and done, we learned, the largest cost savings may be the ability to start and complete the entire implementation project without having to make that large up-front investment in perpetual license and maintenance fees that are characteristic of On-Premise solutions. We are not alone in understanding this. In a recent study completed by Gartner (Survey Analysis: Adoption of Cloud ERP, 2013 Through 2023), CIOs and application leaders were advised to consider Cloud ERP as a replacement for old ERP systems that are either no longer supported or are still running on old platforms such as mainframe computers. A total of 47 percent of participants in the survey (companies from North America, EMEA, APAC and Latin America that range in size from $10M to $10B) said that they planned to move their core ERP systems to the cloud within five years. We had one other priority. Other than those that had a multi-million cost, we wanted a platform that could be customized. The Cloud provided us with this option as well. Anyone who has undertaken an ERP implementation knows that there will be customization/personalization required to enhance the usability or functionality of the ERP software. As a result, there will be programming costs borne by either the software vendor or the customer. And, until the customization is complete, the customer is going to incur some delay in achieving improved productivity and efficiency. However, by having all software on the Salesforce.com platform, many of the problems in customization could be avoided. Eva Wright, Pacer Group’s internal IT administrator, who is also a certified Salesforce Administrator, notes that by leveraging Salesforce’s Force.com, the new ERP software could offer significant advantages for Wright’s department to easily provide its own customizations to ERP Cloud software written natively on the public cloud platform. Recognizing that there is a significant difference, and benefit, to the open systems on a public cloud, Wright could make informed decisions on which Cloud ERP solution would provide a quicker payback and higher return on investment, especially when considering that those latent customization projects can be controlled by her rather than the software provider. As a result of our research, we team selected Rootstock for our new manufacturing/distribution Cloud ERP running on the salesforce.com platform..
We appreciated how they [Rootstock] looked at our business processes and came up with solutions. With three different aspects to their business, Wright and I determined that the quickest payback would be to install the new ERP on the lower complexity – higher volume manufacturing side. Yes, there were some gaps and issues discovered as we went along, but they seemed to be more of a data situation than a process problem. Rootstock set up the manufacturing part and it was good. One reason we selected Rootstock is that the ERP can really handle complex manufacturing and for the selected first installation, we needed something a little lighter. For instance, the basic software has a lot in order entry and we needed something more like a distributor uses for this side of the business rather than what we would need for the complex manufacturing side. Working with the Rootstock team made that happen..
We completed this installation December 1, 2014, after working on it since February. For us, the MRP and Purchasing modules have proven to be very important. MRP uses information from Sales Order Management to drive the top level demands. Forecast demands, not only end items but any item, can be entered as well. A forecast demand for an item denotes the start period date and the end period date and the quantity forecasted for that period. MRP performs the traditional “netting” and plans to the greater of the Sales Order Demand and Forecast demand (by period). The MRP Engine always uses the “effective” Bill of Material in its plan. It accomplishes this by reviewing the scheduled pick dates of the planned work order supplies or planned subcontract requisition supplies and using that date to extract the components that are “effective” and “implemented” as of that date in the generation of the work order and subcontract requisition demands. Manufacturing or subcontract assemblies are identified within Bill of Material Maintenance. Each component contains a separate record, and standard information associating the component to the assembly can be kept on the Bill of Material. Required information such as the quantity per assembly and the add and delete effectively data is maintained on each component link. Required Add and Delete Effectively information includes status and date with optional information including revision and engineering change order. Additional capabilities include a scrap factor, “issue to” work centers on the Shop Floor and lead time offset for planning purposes. Bills of Material are also used in a Standard Cost Rollup to compute the material cost and the subcontract material cost of the purchased (or subcontract purchased) item. With the system in for only six months, it’s still too early to quantitatively say what our results have been or will be but there are several things that we’ve already discovered. We’ve had a dramatic improvement in our inventory management which lets us serve our customers with dependable, on-time deliveries. Our old system had a significantly large amount of “tacked” on, non-native solutions to function sufficiently. They were inefficient and required maintenance. Today, with our Rootstock system, this goes away. Versus the old on-premise system, we can now easily work with so many other solutions, as Rootstock on Salesforce.com takes care of this. Bottom line, today we are able to do more with fewer resources. Established in 1979, Pacer has built its reputation as an industry leader one customer at a time through excellence in engineering, a knowledgeable sales force, and an unwavering commitment to customer service. 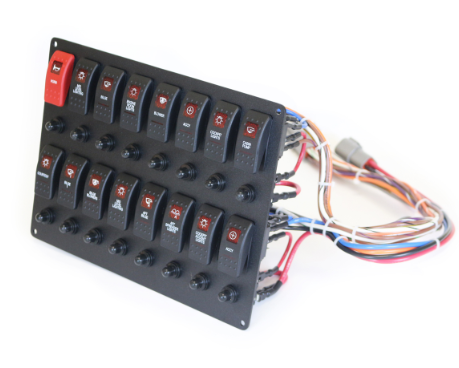 Pacer has integrated three major industrial functions including electrical wire and cable manufacturing, electrical panel design and manufacturing, wiring harness and battery cable assembly, and electrical components distribution. 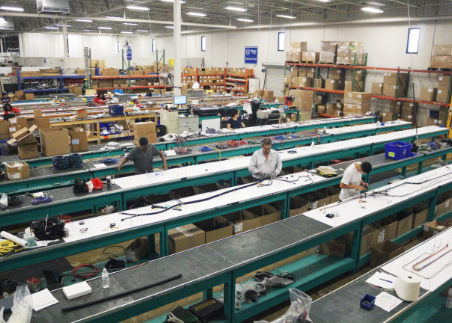 The Pacer group of companies has expanded beyond its traditional marine industry focus at its 42,000 square-foot manufacturing, assembly, and warehouse complex in Sarasota, Florida. The integration of wire & cable manufacturing, engineering and distribution allows Pacer great flexibility to address the concerns of individuals and smaller companies as well as large volume users. Today, Pacer provides these proven capabilities to a wide range of manufacturers who require UL/CSA approved wire; such as makers of batteries, fork lifts and golf carts, industrial equipment, alternative power, appliances, data storage. We also have a wide range of products that serve automotive, performance racing, truck, RV, and offroad vehicles. To learn more about the Pacer Group, please visit www.pacergroup.net.